My kid's a LEGO maniac. 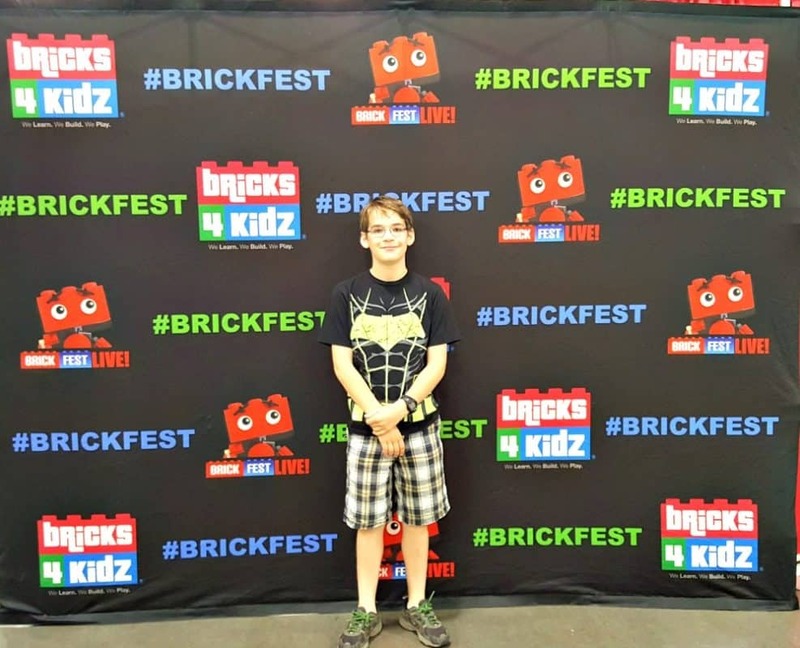 He's a quiet child who asks for very little, so when we had the opportunity to receive Brickfest Charlotte tickets in exchange for a review, we agreed. Charlotte almost two-hours from us. We left early to be there when the doors opened. 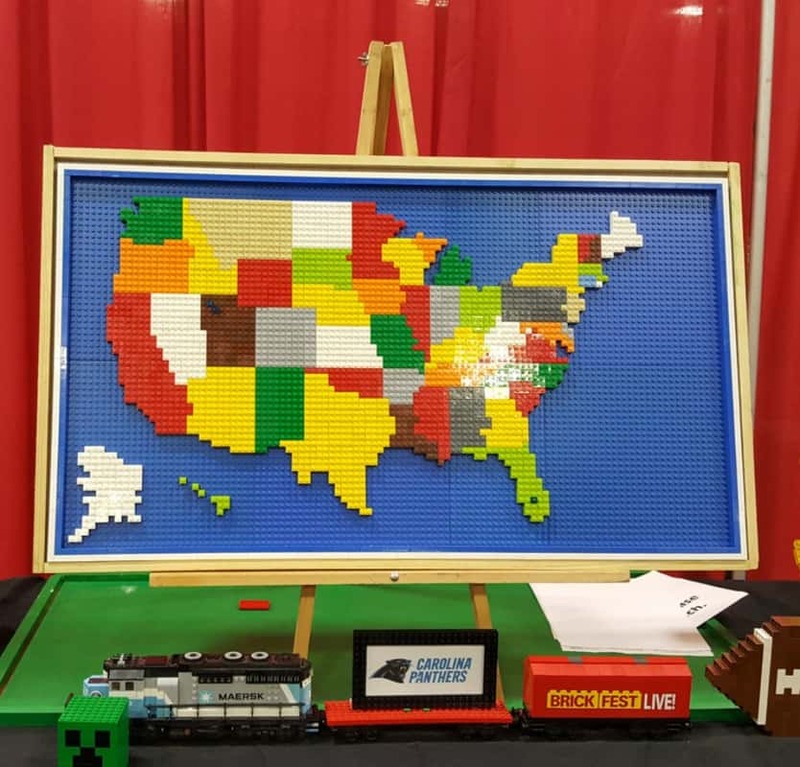 My son spent his ride watching videos of Brickfest footage around the country. He was SO excited. We got there as it was opening and waited in line for entrance. 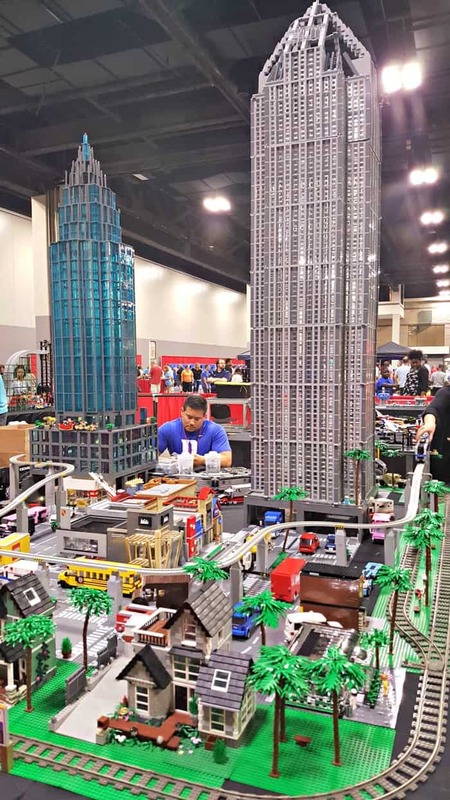 Then we were inside the Charlotte Convention Center, surrounded by all things "Brick". We started on one end. First stop was this sculpture. It was incredibly large and full of detail. 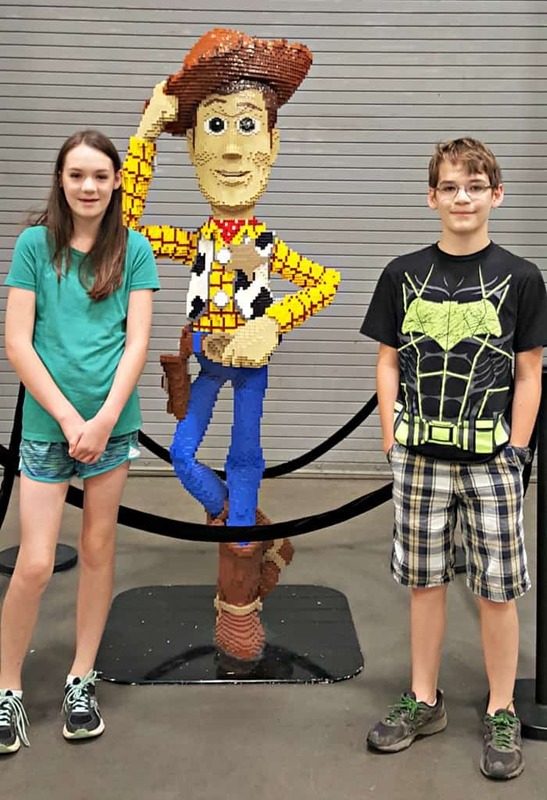 Then the kiddos spotted Woody from Toy Story. 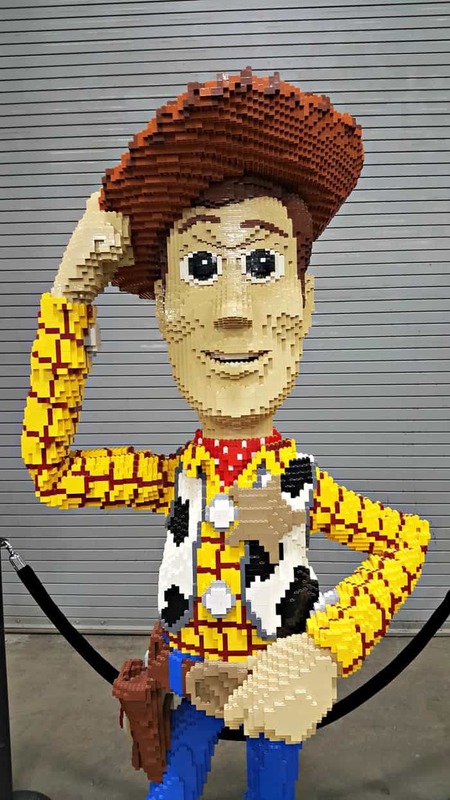 He looks exactly as I remember him from when I met him at Pixar Animation Studios. We stopped by the giant blue brick pit...it was packed! 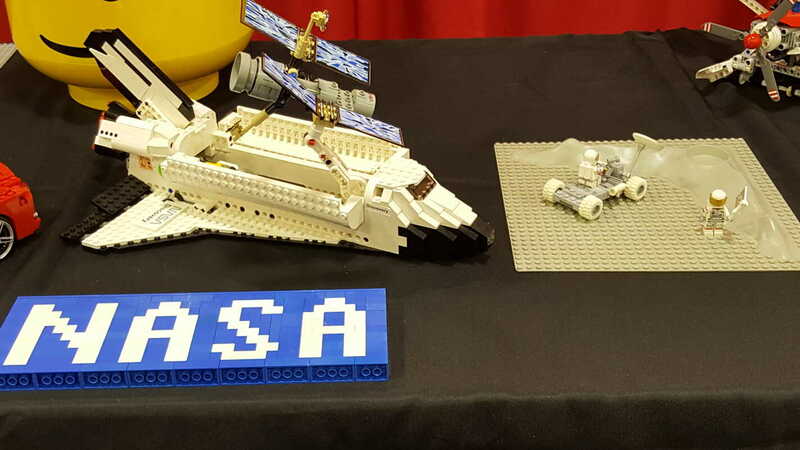 My son said he had LEGOS at home, so we moved on. 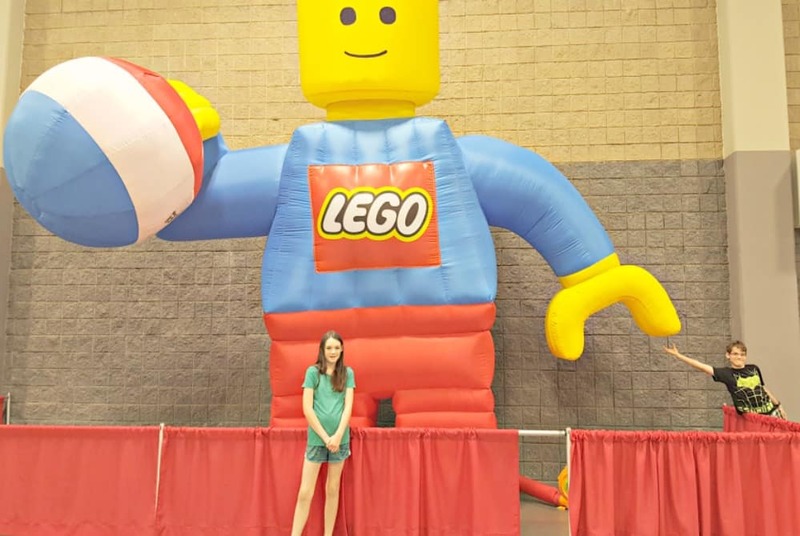 We headed across the floor to pose with the huge LEGO man. 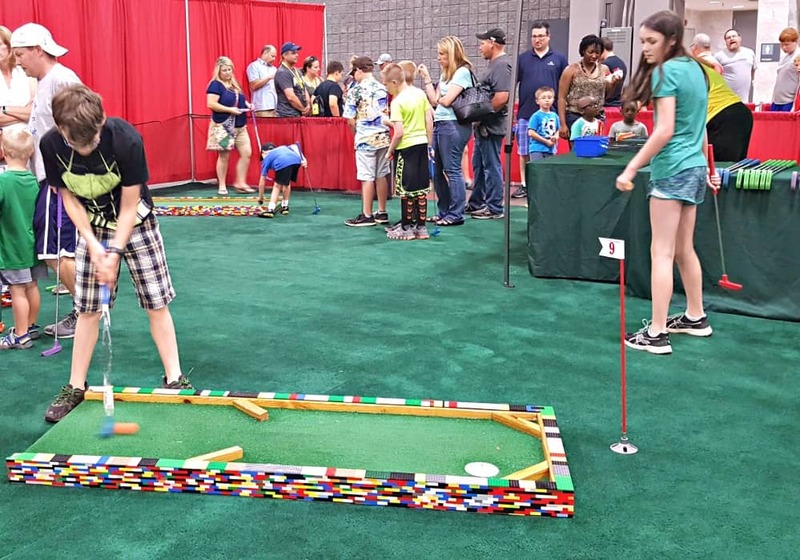 Played nine holes of miniature golf on a course constructed of LEGOs. 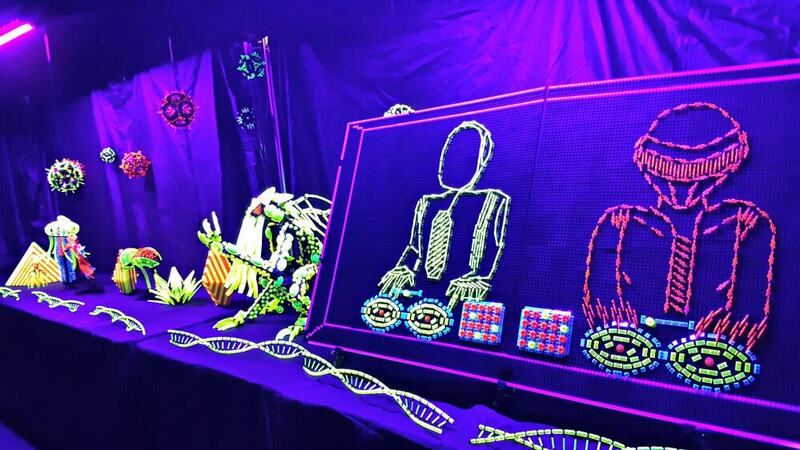 And walked through the glow in the dark LEGO display--which was really awesome! We walked around and around the LEGO Vatican. The detail was impeccable! One of my favorite displays was the "Art Gallery". 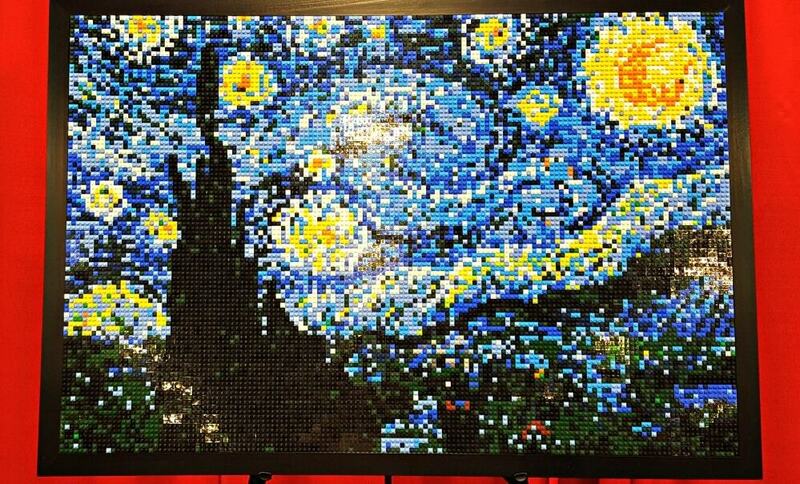 It had a few pieces of LEGO art that were mind blowing! The Starry Night is impressive. 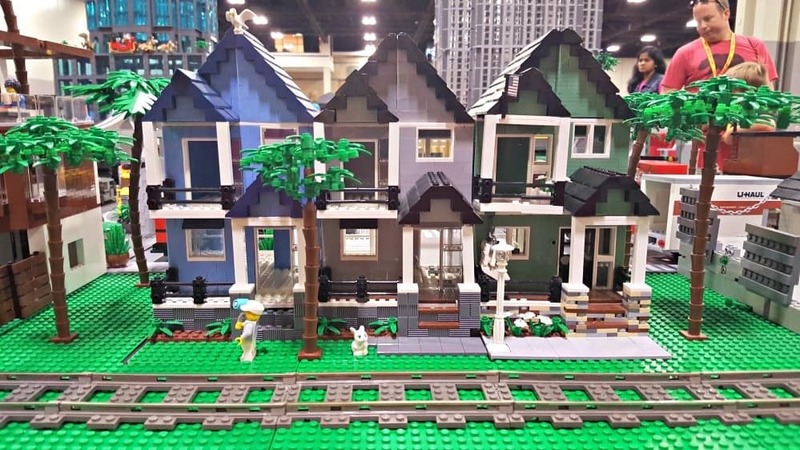 See other LEGO artwork in my Brick Fest Art Gallery Post here. There were tables that filled my kid's heads with creative possibilities. 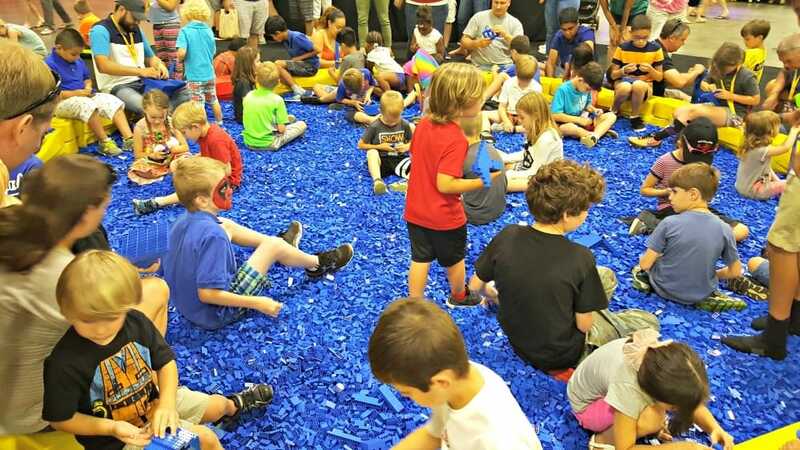 There were long rows of LEGO boards to press LEGOS and create whatever your imagination set free. There was a lot to see and a lot to do. My children's favorite was the LEGO Race Car Derby. They had 5-minutes to build a race car using random pieces poured into a bin. And then the cars were lined up on the track and raced against each other. William came in first place, while MacKenzie came in last. 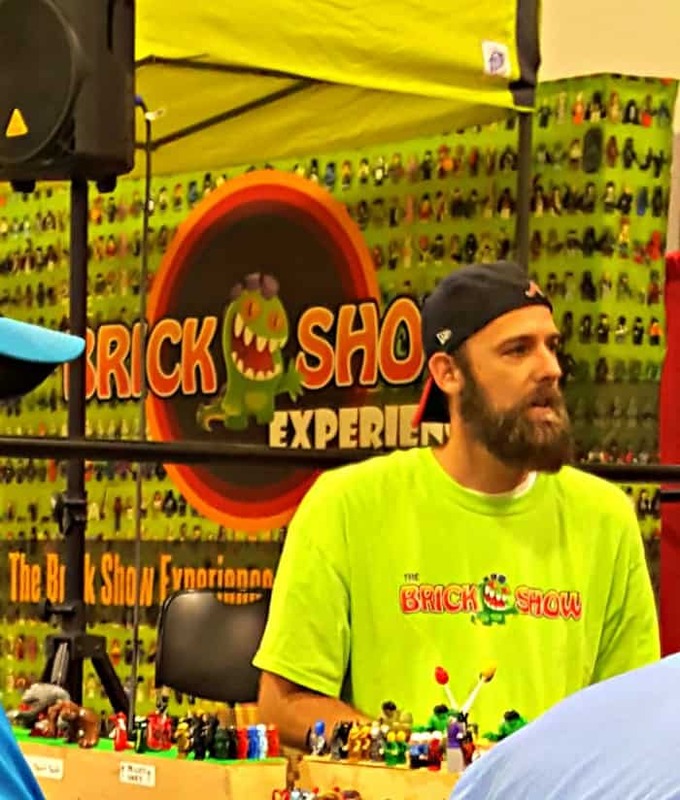 And you never know, you might even meet your favorite BRICKS YouTuber. 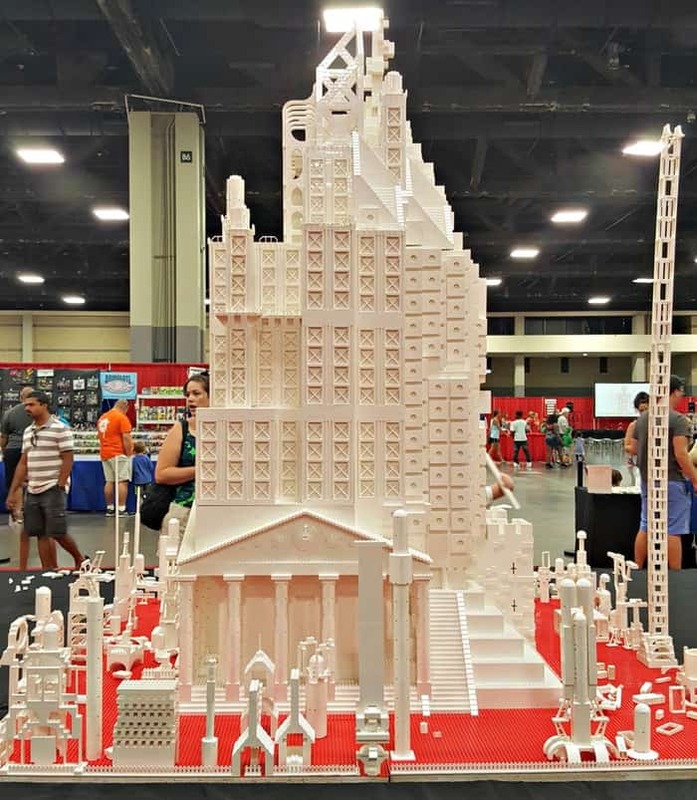 Overall, we had a great afternoon doing and seeing all things LEGO at Brick Fest Charlotte.